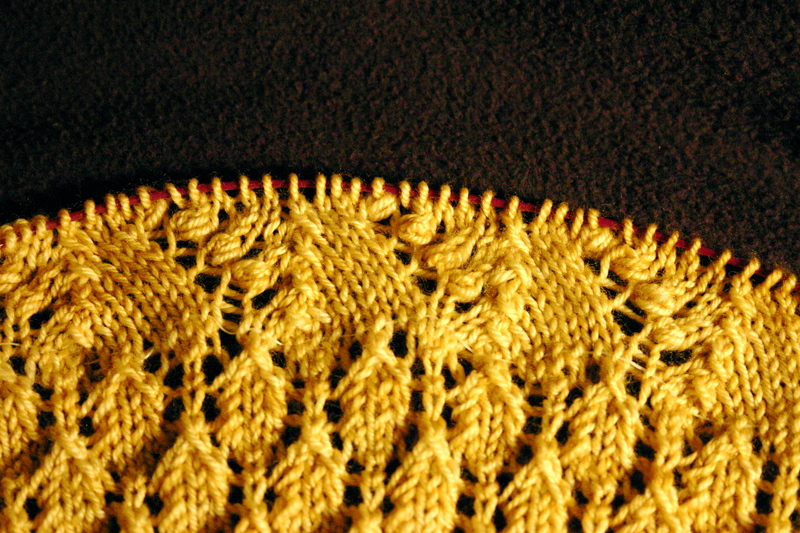 Ah, the Swallowtail Shawl…. if you’ve knit it then you know. If you’ve even read about it a tiny bit, you know: those nupps are a pain! 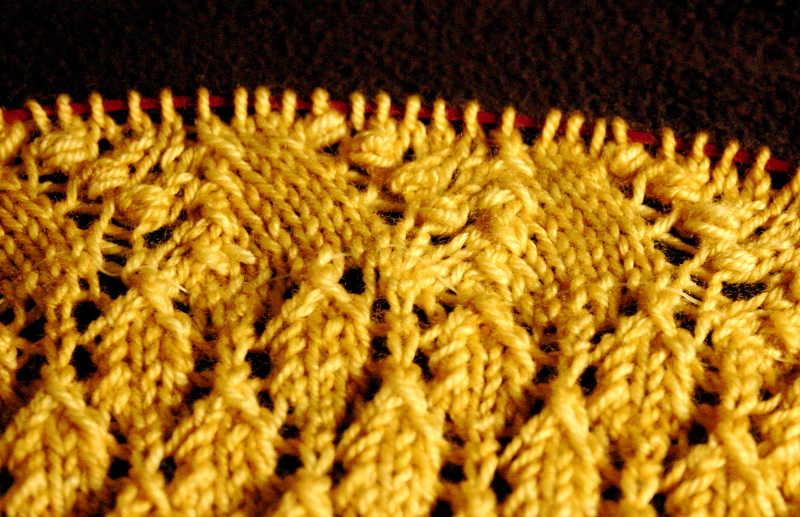 Basically, you increase into a single stitch five times and then on the next row, you purl those five stitches together and back into one, creating a gorgeous but damn near impossible-to-pull-off nupp. I perused Ravelry enough before starting this shawl to learn that lots of knitters found an easier way to achieve the nupp: instead of purling 5 stitches together you can slip two, purl 3 together, and pass the slipped stitches over which basically accomplishes the same thing. Now, I’m a fairly tight knitter so I’m sure I’m not making it very easy on myself, but I’ve tried working it as loose as I can, and I still have a hard time getting those three stitches on the needle to purl. I’ve had to resort to lifting them up off the left needle with a sewing needle and then placing my right needle tip underneath them in order to purl. It works, but it is painfully slow. And its pretty intense, cause if I drop one of those stitches, I’m gonna be lost. I also discovered by perusing other Swallowtails on Ravelry that lots of knitters choose to forego the nupp in favor of a bead. I can understand the desire to avoid the nefarious nupp, but I am most definitely pro-nupp. To me, they make this shawl. Sigh…. Some things are just worth it. I totally feel your pain… I remember knitting the swallowtail, and I vowed never to knit a laceweight shawl with nupps ever again! but the finished result really is stunning. it’s hard, but solider on. Stick to it — you can do it! It looks so pretty. I think your going to love it when your done.